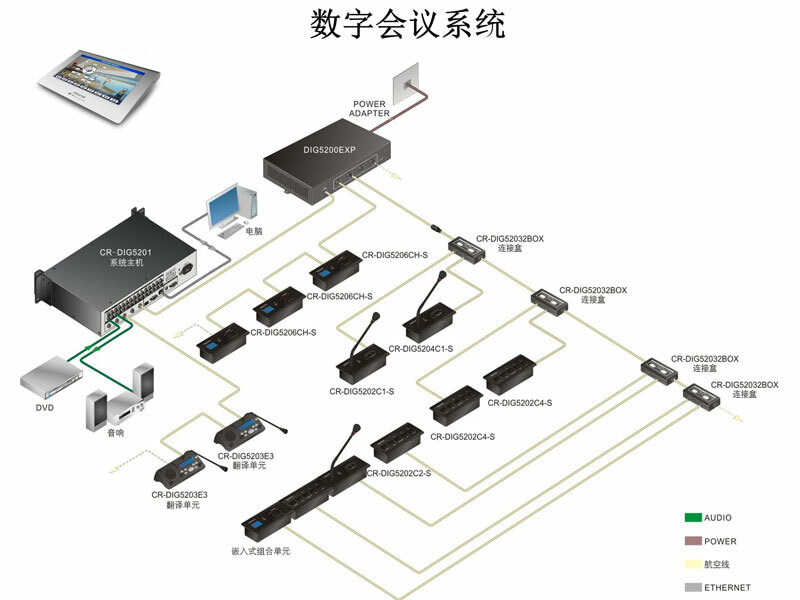 ﻿ Composition and Function of Unit Equipment of Subsystems of Digital Conference System - Guangzhou DSPPA Audio Co., Ltd.
(1) Control of speech equipment, including representative machine, chairman machine, interpreter's desk, dual-audio interface, etc. (Manage the microphone, control the microphone switch, exceed the authority of the microphone running, limit the number of participants, etc.). (2) The audio of the representative and the chairman is balanced. (3) Provide the voting function of the meeting, but when the meeting requests a voting on an item, the chairman can manipulate the speaking equipment in front of him to vote, and collect, count and transmit it to the display screen of the hall and the LED screen on the representative/chairman machine for display. (4) The ID address of each speaker unit can be set for camera linkage. Speech devices in digital conference systems usually include wired microphones, voting buttons, LED status displays and conference audio. 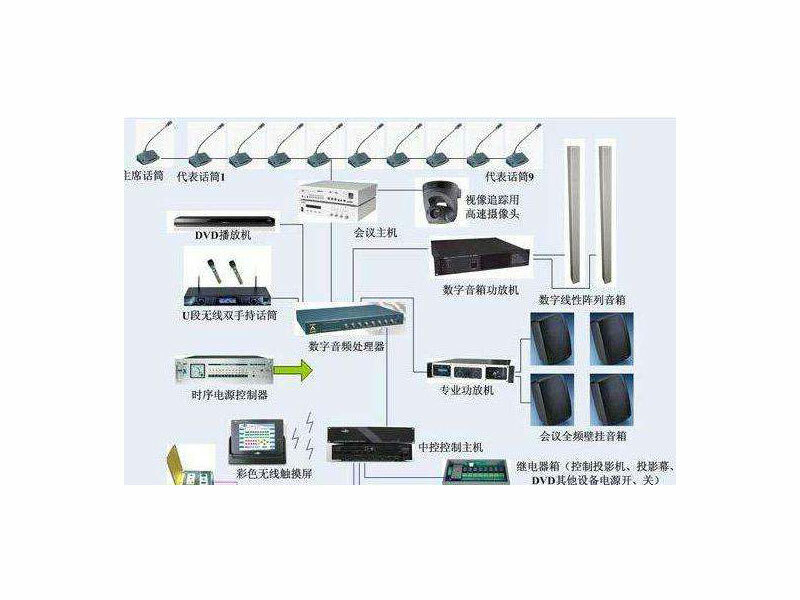 There are also other devices to choose from, such as gooseneck conference microphone, LCD status display, language channel selector, ID card reader, etc. Simultaneous interpretation equipment mainly includes interpreter's desk, interpreter's headphones and internal communication telephone. Simultaneous interpretation means that an interpreter sits in a soundproof simultaneous interpretation room, commonly known as a box, using special simultaneous interpretation equipment. While listening to the speaker's continuous speech through headphones, the speaker almost simultaneously translates all the information expressed by the speaker into the target language accurately and completely, and the output of the translated language is transmitted through the microphone. Participants who need interpretation services can tune into their own language channels through receiving devices and listen to the corresponding translation output from headphones. 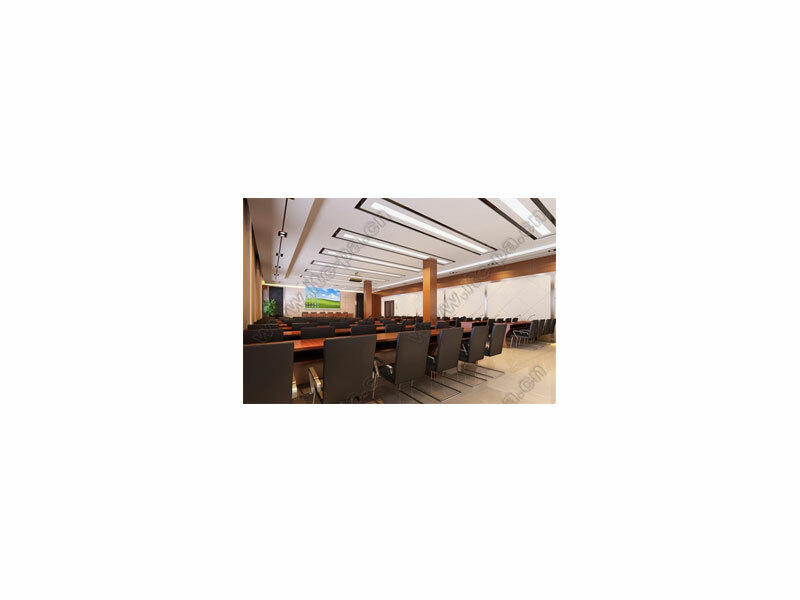 The multimedia conference display equipment of digital conference system includes TV, LCD, monitor, projector, etc. Multimedia display equipment can provide various digital, text and image data to the participants more intuitively. It can also display the relevant information in the meeting process in real time according to the need. Signal sources generally include video signal, computer and DVD signal, monitoring equipment signal, remote signal, etc.